Harbour vistas of the magnificent Otago Peninsula. Rugged beaches, quaint townships and abundant bird-life along the way. A guided tour and introductory talk with a short DVD presentation. A brief walk up a steep pathway to an Observatory to view the nesting area. Following the tour there will be time for afternoon tea (own cost). 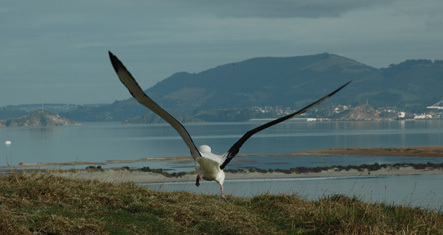 Entry fees to Royal Albatross Tour are included.